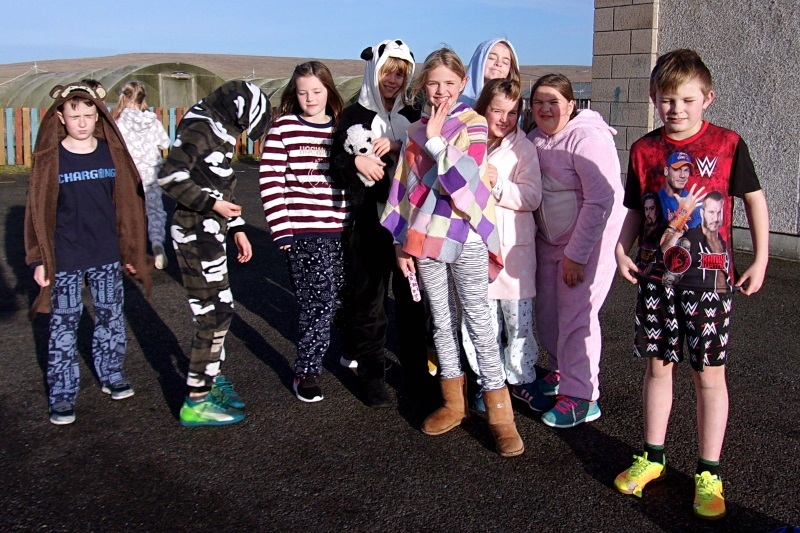 The school was busy raising money for Children In Need today, with students wearing their pyjamas to school and staff members contributing towards a prize hamper. This year we raised a terrific £231.76 – all towards an excellent cause. Disability Shetland, who organise events that our students take part in, are one of many Shetland organisations that receive money from Children In Need, so we as a school are proud to support this charity.